The New Zealand Hawks will finish the International Cup with a playoff for third against South Africa. A team talk from AFL legend Simon Black was a highlight of the International Cup for the New Zealand Hawks. The Brisbane Lions stalwart, who has New Zealand heritage, spoke to the team the night before their win over the USA Revolution. Papua New Guinea have ended the New Zealand Hawks hopes of competing in an International Cup Grand Final, winning the semi final 12.3:75 – 4.4:28. Right from the start the PNG Mosquitos were on the front foot, shooting out to an early lead. A tough test looms for the New Zealand Hawks against PNG today in the International Cup semi final. The match will take place 11.30am Eastern Standard Time, at Ransford Oval in Melbourne. The New Zealand Hawks have endured a tough test, and come out victorious, beating the USA Revolution by a margin of 10.11:71 – 2.1:13. The biggest match so far of the International Cup is set to take place, with the New Zealand Hawks to take on the USA. The New Zealand Hawks have thumped the Chinese Dragons to notch their 2nd win of the AFL International Cup. The New Zealand Hawks are set to take on China, in their 2nd match of the AFL International Cup. 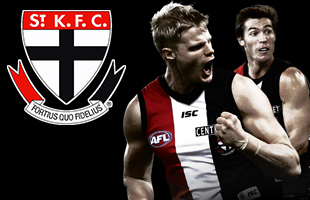 The match will take place on Wednesday the 13th of August, at St Kilda’s Linen House base, Seaford, at 1.30pm. Hawthorn Football Club welcomed the New Zealand Hawks to the Ricoh Centre on Friday, where Kiwi and Hawthorn International rookie Kurt Heatherley and rookie Zac Webster took the players and staff on a tour of the Club’s facilities. The New Zealand Hawks dominated the Swedish Elks today at Western Oval, running out to a 24.18:162 – 0.0:0 win in their first International Cup match. The New Zealand Hawks are set to begin their International Cup campaign against the Swedish Elks on Sunday. The New Zealand Hawks have beaten Ormond AFC in a warmup match for the International Cup 6.16:52 – 3.2:20.